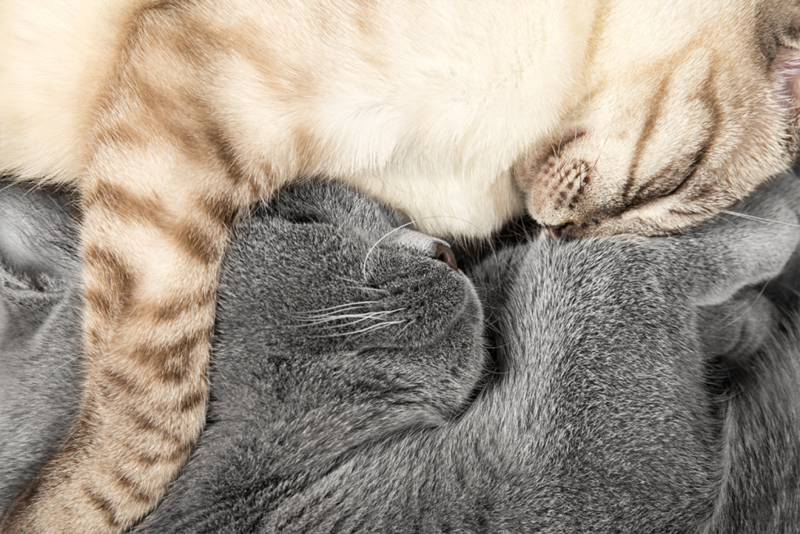 Hug your kitty a little bit closer today – it’s Global Cat Day! We’re celebrating our love of our furry felines everywhere – and recognizing just how far that cuddle with your cat can go. Do you feel more comforted when you’re among the company of your cat? It’s no coincidence – in fact, cat therapy comes down to science. Interacting with animals has been proven to increase oxytocin (calming endorphins) levels, which has a powerful effect on the body’s readiness to heal and produce new cells. Simply petting your cat can produce an automatic relaxation response, which is believed to reduce the amount of medication needed by some people. Plus, just being around your fur baby lowers feelings of isolation, reduces anxiety, and encourages communication with others. Pets play an extremely important role in our lives. That’s why our Cats Against Cancer Initiative is back – and it’s bigger than ever before. This year, not only are we running our annual “Save $3, Give $3” campaign where cat owners save $3 on a 40 lb bag of our Ultra Litter and $3 is then donated to the Multiple Myeloma Research Foundation, but we are also reaching out directly to patients to let them know how much we care. How has cat therapy made a purr-sonal and paws-itive impact in your life? Whether it’s a story, photograph, anecdote, or experience – we want to hear it all. To tell us your cat therapy experience or to read the stories of your other fellow feline fanatics, head on over to our Share Your Story page! Join our efforts with the MMRF to fight to find a cure by downloading our coupon to use on Dr. Elsey’s litter products at your local pet supplier or on Chewy.com. Our cats make a difference in our lives – and you can make a difference in someone else’s life, too.